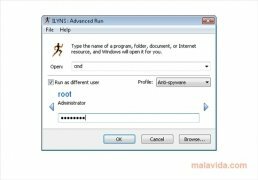 Advanced Run is a program that has been developed to be able to launch any application or document stored on a computer, even though they would need the privileges of another user (requiring the password of the person that owns the privileges). 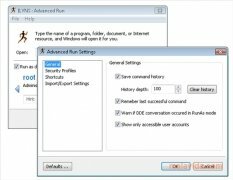 The programs main function is to avoid having to change a session to be able to carry out a task, because this can be rather bothersome for somebody that is in the middle of any project or job. 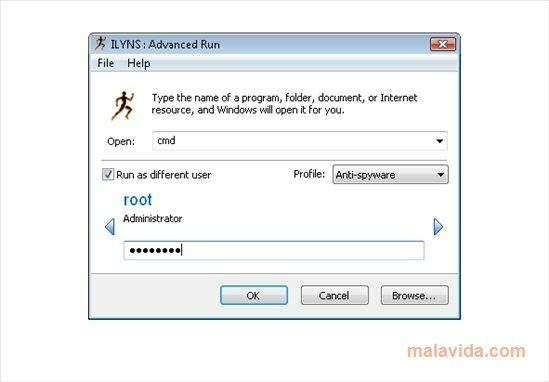 The program offers the possibility to launch the programs or open the files by means of the command line or using the Windows file explorer (a lot more practical and simple). Once you have select what you want to open, a section will appear in the program's interface from where you will be able to select the profile that you want to use to launch the action and a text box where you will have to type the password. 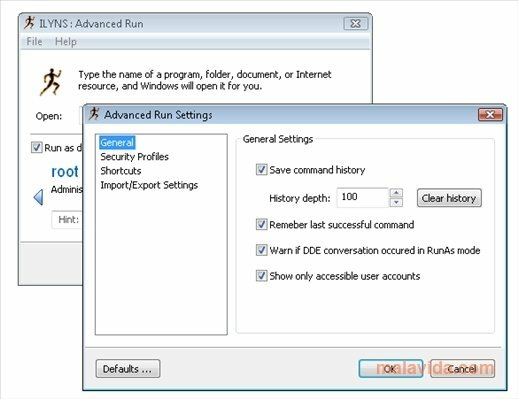 Discover a simple, practical and free utility, downloading and installing Advanced Run.